""Mr. Weiner was very friendly, efficient and very..."
"You guys did a great job, Very professional and just plain..."
The walls of this home in Stillwater, Minnesota were bowing in. A free estimate provided by Innovative showed PowerBraces were the best way to correct this issue. 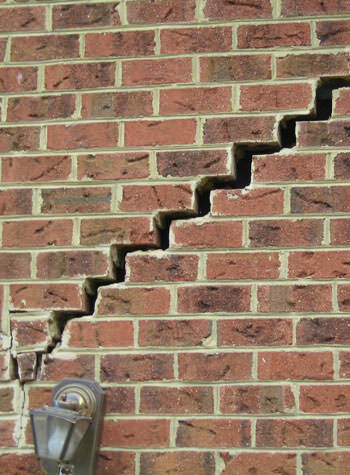 If we were not able to install our PowerBrace system the walls would just get worse and worse. After purchasing a cabin next to his property, homeowner from Stillwater, MN, reached out to the TEAM at Innovative Basement Systems regarding some water leakage and a bowing wall at the cabin. We sent system design specialist, Dustin Segedahl, out to meet with the homeowner and inspect the problem areas. After some discussion, measurements and addressing budget - the decision was made to install wall anchors as well as to replace the egress window wells. The job was scheduled and completed on schedule. The homeowner can now rest assured his cabin wall is secure and that water will be kept at bay from those egress windows. Homeowner from Stillwater, MN, contacted Innovative Basement Systems to inquire on PolyLevel foam injection to correct and lift the concrete by his front step area. Bill Obert, system design specialist, visted the home and gave his expert recommendation for PolyLevel. Bill went over the injection process, the warranty information, as well as the estimate. The homeowner was in agreement and the job was completed with great results! Water coming in at pipe leading out of house to septic tank. Need landscaping on outside of house and reseal round pipe. We are having water in the center room of our base. I vacuum up water every other day. We had a replacement blacktop put in and they shut off the external drain tile around our house. Since then we have had water in the basement. This is my opinion, but we would like an expert to confirm it. My sidewalk on the outside of my house has a big dip in it. Water getting into my lower level (finished) by fireplace. Got Home Inspection Report yesterday for a house we're hoping to buy. 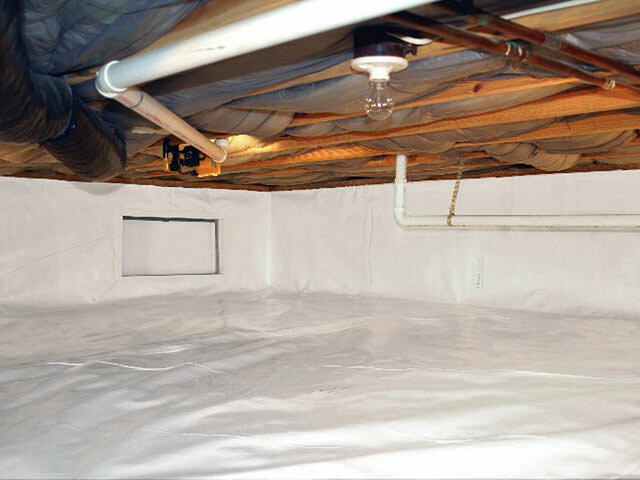 We'd like your view on, and estimate to address, the evidence of water penetration in garage and basement. We'd need estimate ASAP because we're in Inspection Contingency period. Thank you. Cracking and bowing foundation where concrete front step sits above. Concrete block construction. House was built in 1971. Attached porch on concrete slab is settling. Cracks appear in block foundation. Water in basement in older part of home. I have some crumbling of my basement wall in my 1880 home. You guys did a great job, Very professional and just plain old nice people. "Mr. Weiner was very friendly, efficient and very helpful. He is a great representative for your company." We did our research and couldn't have picked a better company. Everyone throughout our experience was professional and easy to talk to, very knowledgeable and welcoming. Thank you! Nice crew - pleasant, polite, and very hard working - no "lazy" breaks! The installation team were very professional, I was impressed, they worked hard in spite of the awful heat. They did an excellent job & cleaned up after you are lucky to have such personal, I am very satisfied with the work they did. Noticed how the workmen are very courteous with each other - saying please, thank you or would you mind getting...nice show of respect. Love that I can use the area for storage now! I would certainly recommend you! Guys were professional and did a fantastic job! It looks like the product will hold up. Only time will reveal product longtivity. Dan (crew foreman) was fantastic and very informative! Very clean. Good customer service. Good job on both projects! I had my sidewalk and driveway lifted and one of my walls in the basement done. Did a great job! Was on time as said, I am very happy. Everything was great! Maybe mention before that the TripleSafe sump pump needs a 25 amp outlet - other than that, no problems. Much improvement and no more leaks. Great visual of the strength of these products! Homeowner from Stillwater, MN, contacted Innovative Basement Systems to inquire on PolyLevel foam injection to correct and lift the concrete by his front step area. Bill Obert, the system design specialist, visited the home and gave his expert recommendation for PolyLevel. Bill went over the injection process, the warranty information, as well as the estimate. The homeowner was in agreement and the job was completed with great results! Homeowners in Stillwater, MN had been living in their home for 15 years when they began noticing their foundations walls bowing. Their home was built in the 1940's and was in need of a foundation repair system. Bowing walls was their main concern however, there were cracks forming in their walls as well. After they contacted Innovative, a system design specialist was sent to the home to create a solution plan. The TEAM then installed 10 wall anchors around the foundation walls. The bowing walls are now back to their original, straight position. Water/salt leaking into my basement below garage. Also heat lose up though garage apron. We need our front step raised and leveled. Sidewalk if sinking near the steps to the house and I would like an estimate for mudjacking the sidewalk to raise it. Old house, needs foundation repair under rent porch. There is some water in the basement of a home I am purchasing and was wondering how soon someone could be available to take a look at it. Tomorrow or Monday would be ideal. We have a basement concrete block wall that is bowing in slightly from hydraulic pressure. We are looking for solutions to permanently fix the issue. Water leaking in church basement on west wall.